Until there's a day when werewolves no longer roam the earth, the moonphase will continue to be an essential watch complication. CW's moonphase movement, a modified ETA2836-2. An excellent werewolf warning watch. 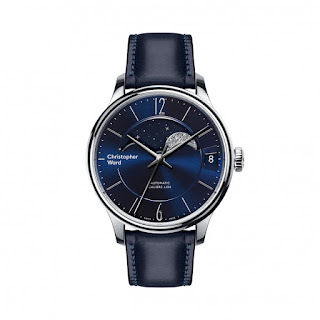 You can buy an accurate mechanical moonphase for under $2,000 or thereabouts, such as the Christopher Ward C1 Grand Malvern Moonphase. The Christopher Ward C1 is accurate enough to reliably warn you when the full moon makes its sinister appearance every month. You don't need an ultra-fancy, multi-century, hyper-accurate moonphase unless you're thinking about the watch’s resale value. (More about moonphase watch accuracy in a moment). But who, seriously, would ever sell a moonphase in a world such as ours, where monsters consume human flesh every full moon? While a routine moonphase watch is fine for safety, if you want a supremely accurate moonphase (assuming you have cash left over after fortifying your house’s doors and windows against werewolves), the world’s most precise moonphase watch is the Sauterelle a lune Perpetuelle 2M, accurate to less than one day every 2,060,757 years. It's as beautiful as it is expensive: $125,000 buys a lot of silver bullets. I know what you're thinking: The internet is good enough for telling me when the next full moon will occur, because there are thousands of moonphase websites in each of the world’s 6,500 languages. In addition, everyone living on our werewolf inhabited world almost certainly has a full moon alarm on their phone. (The government is still debating whether to make the full moon alarm mandatory so that phone owners can't ever turn it off.) 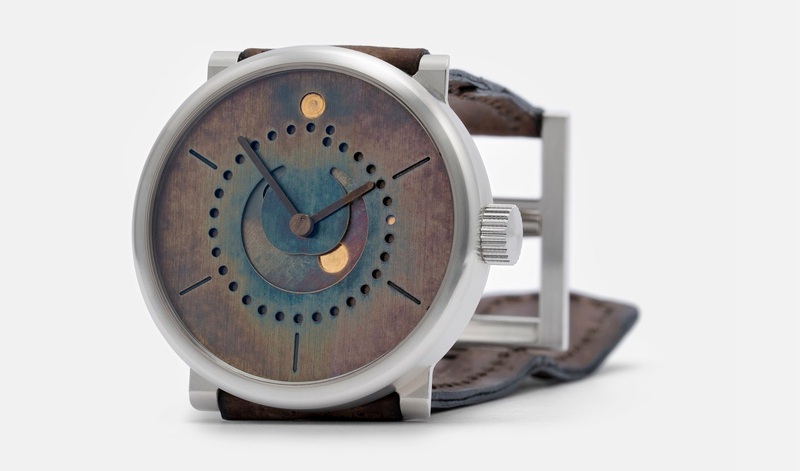 “Why do I need a moonphase watch?” you ask. Surely you've heard reports about moonphase websites being hacked and moonphase apps corrupted by viruses. Nobody knows for certain if werewolves themselves have developed the skills to perform such dark, sophisticated deeds or if it's humans allied with the werewolves, but this much we know: Every full moon, screams of terror and pain penetrate both city and countryside skies. The werewolves are as cunning as they are vicious. You could be their next victim. Members of the "naturism movement" rely on what they see in the sky to determine when the full moon has arrived. But the full moon can be obscured by clouds or weather, or be below the horizon. Your eyes alone are no good for forecasting the full moon. How to choose a moonphase watch? 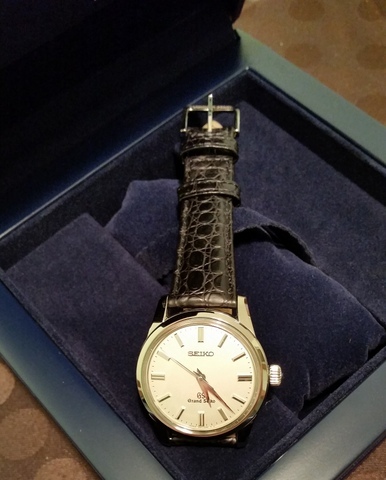 What should you be thinking about when pursuing something so vital as one of these timepieces? When it comes to moonphase complications on which your life depends, why not combine accuracy with beauty? (I know I wrote that you don't need a luxury moonphase watch, but that doesn't mean you shouldn't covet one.) 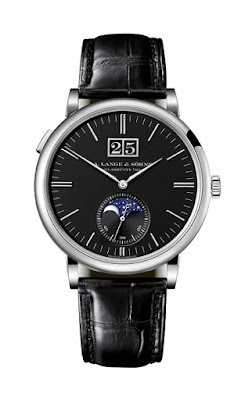 Why not the A. Lange & Sohne Saxonia Moonphase or the Rolex Cellini moonphase, both in the $25,000 neighborhood? In olden days people carried daggers that were prized for their artistic design. Function mixed with beauty is an eternal human pursuit. 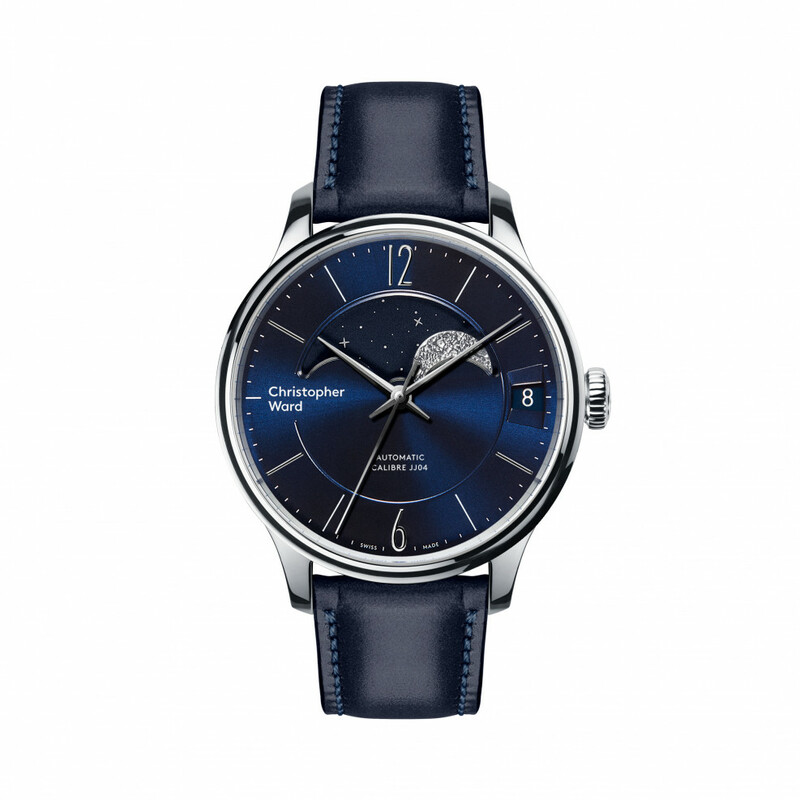 Buy the most gorgeous moonphase you can afford—and then some. I’d also recommend the one-hand MeisterSinger Lunascope, which offers one of the most unobstructed views of the moon of any moonphase watch. One of my favorite moonphase watches is the Arnold & Son HM Perpetual Moon, a 42mm creature with perhaps the most beautiful rendition and large—29mm of pure lunar— of the moon of any moonphase watch. 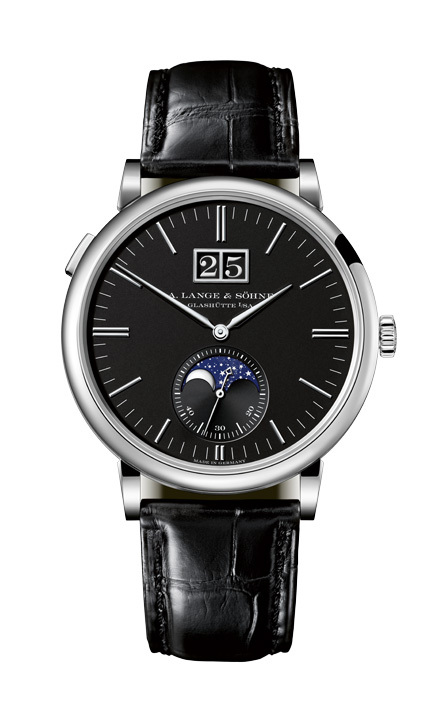 You can’t miss the moon on the Arnold & Son. The HM Perpetual Moon costs about $30,000. The Prague astronomical clock, completed around 1410, displays a myriad of functions, including the all-important moonphase. The historical record shows that werewolves roamed eastern Europe in frighteningly large numbers in the fifteenth century, which may have spurred the creation of this clock. 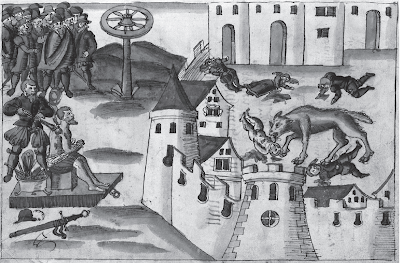 Werewolves are not going away; on the contrary, they’re becoming more numerous and dangerous. The moonphase complication is both delightfully simple in concept and complex in execution, which is why moonphase watches aren't cheap. The moon takes roughly 29 1/2 days to orbit the earth. Most moonphase watches have two identical moons on opposite sides of a rotating disc. As the moons pass by the single circular opening of the moonphase complication, we see the moon's changing phases. A fifty nine tooth gear advances the moon one notch every twenty four hours, completing the moonphase cycle every 29 1/2 days (fifty nine divided by 2 equals 29.5.) Moonphase watches using a 59-gear movement are accurate to within one day every two years, seven months, and change. But because the moon's orbit around the earth actually takes 29.53 days, a more perfectly precise moonphase might use a 135-tooth gear that bumps up the moonphase accuracy to within a day every 122 years. Other technologies enhance a moonphase’s accuracy even more. Ochs und Junior's moonphase has a sterling silver case for added protection. I've recently joined a group. We call ourselves Lunar Sanctuary. We meet at the first quarter moon, before it becomes a waning crescent to check that all our watches' moonphases are correct. We synchronize watches, just like in the movies. One woman's got an Ochs und Junior Moonphase, accurate to one day every 3,478 years. While nobody knows if this helps in real life, the Ochs und Junior also has a sterling silver case, silver being a werewolf's weakness. I might get that watch. I think my life is worth the Ochs’ $9,000 watch price tag, and the silver thing—yeah, that just might help in an emergency. Besides, Ochs und Junior is gorgeous and refreshingly unique. With moonphase watches on so many wrists, it's nice to see a watch with bold design. Don't make the deadly mistake of buying a sun and moon complication, which is simply a pretty day/night indicator that tells you nothing about the moon’s phase. A sun and moon complication, attractive as that is, can lead to your premature, and painful death. And don't believe the rumors that a full moon displayed on your moonphase watch will attract werewolves. It won't. So I ask you again: Do you want to rely on hackable electronics in your phone or a dependable, mechanical moonphase to keep you alive?